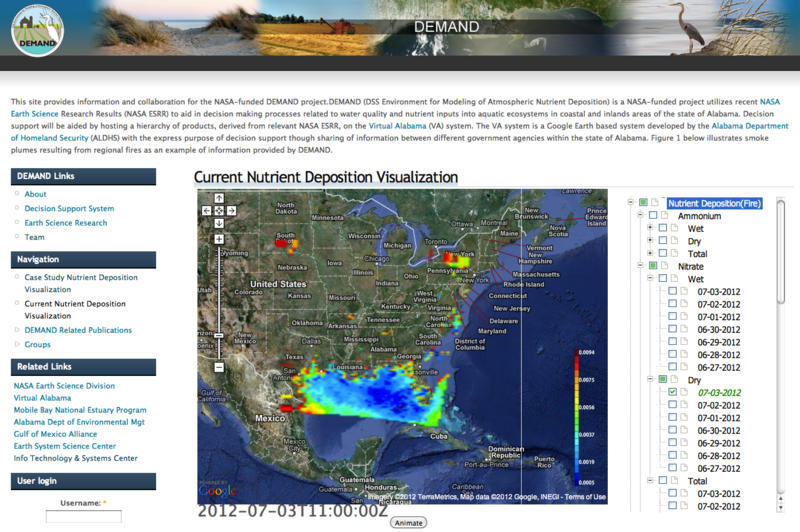 DEMAND (DSS Environment for Modeling of Atmospheric Nutrient Deposition), a NASA-funded project, utilizes recent NASA Earth Science Research Results (NASA ESRR) to aid in decision making processes related to water quality and nutrient inputs into aquatic ecosystems in coastal and inlands areas of the state of Alabama. 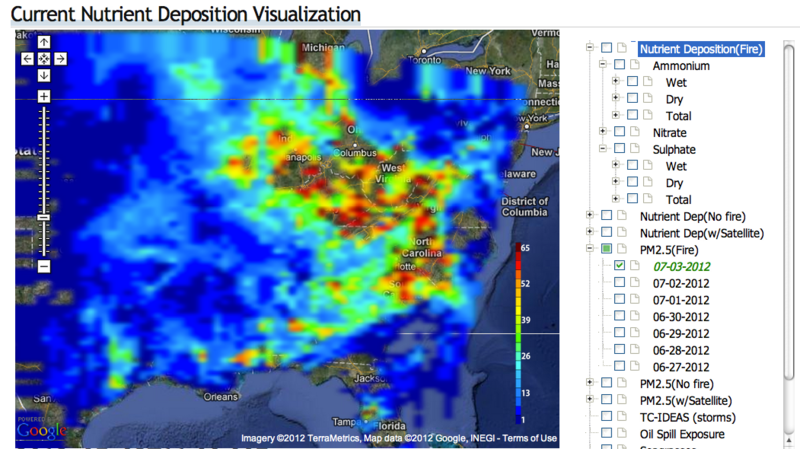 Decision support will be aided by hosting a hierarchy of products, derived from relevant NASA ESRR, on the Virtual Alabama (VA) system. The VA system is a Google Earth based system developed by the Alabama Department of Homeland Security (ALDHS) with the express purpose of decision support though sharing of information between different government agencies within the state of Alabama.